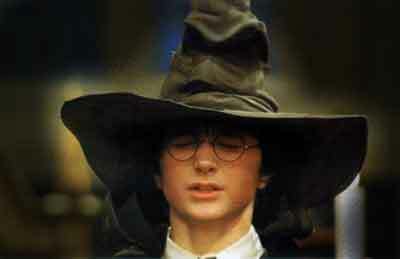 The new Baseline Assessments are a new model of Sorting Hat imposed by the government on England’s children. They are flawed from start to finish. The DfE state openly that these tests have been introduced to judge each school’s effectiveness by the progress children are making. The combined results of the baseline test will be compared to the combined results in KS2 SATs. Even if you agree with the need for such comparisons – which assumes there is a large variation between primary schools’ effectiveness – it will be impossible to make fair judgements on the basis of six different forms of test. The fairness of the tests in judging a whole school depends on their accuracy for each individual child. Our earlier post demonstrated the wide range of KS2 SATs outcomes achieved by children starting from the same baseline. Of all the children starting off with an average baseline score, 17% end up with Level 3, 56% with Level 4, and 27% with Level 5. This is a massive spread. Rather than a precision tool, the DfE are handing teachers a sawn-off shotgun. And this is from the most experienced provider of predictive tests! As you might expect, children with low baseline scores are more likely to get Level 3s than children with high baseline scores, and vice versa, but beyond that you can’t predict very much at all. In every case there is a massive spread. Some children with low scores get Level 5s and some with high scores get Level 3s. In each case, children starting off with identical baseline scores diverge across 60-80% of the KS2 attainment range. Yet CEM boast of their test’s “excellent predictive validity”! each child must be given a score, from 0-56. In the end, Early Excellence are like all the others in reducing a child’s complex achievement and development to a single score and placing them in rank order. By seizing this opportunity to grow their business and make a lot of money, they have fatally compromised their principles. This raises serious ethical questions for schools. Baseline Assessment creates the illusion that you can accurately determine a child’s future potential even at the age of 4. These tests actively encourage teachers to view children as low, average and high ‘ability’, as if their performance has nothing to do with early experiences and opportunities, or indeed the debilitating effects of growing up in poverty. It will place a ceiling on many children’s future development, since these labels become a self-fulfilling prophecy. 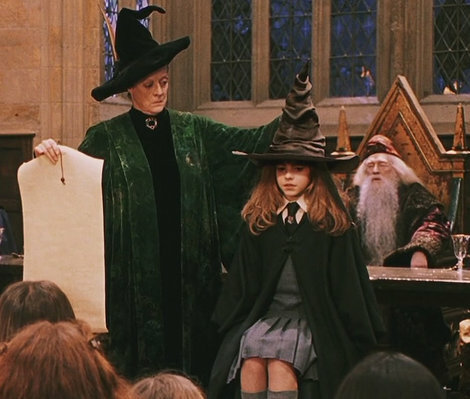 Even child-friendly Early Excellence claims “If a pupil’s attainment does not match their ability, we are able to identify potential barriers.” How they can calculate a child’s ability as distinct from her attainment remains a mystery – Sorting Hats, maybe? The sorting hat can’t see. The entire accountability system will reinforce this illusion. Ofsted will arrive on the scene and ask for data on the progress made by “low-ability children” in Y4 as measured by the baseline tests. The spurious concept of a child’s predetermined “ability” or “potential” turns into a reality. still I worry that it’s wrong. Dividing up children from an early age is the blight of England’s dysfunctional education system. It concentrates disadvantaged children together, segregating them from pupils with wider vocabularies and life experience. Often it means subjecting them to more restricted, tedious and demotivating activities. It doesn’t take long for a child to decode the label and decide he can’t be very bright since he’s on the Elephant table. Baseline assessment scores give a veneer of scientific accuracy to this problematic practice. We share the Sorting Hat’s concern, as do many teachers. The only ethical and professional response is to boycott these tests. This entry was posted in Accountability, Curriculum, GERM and tagged accountability pressures, baseline tests, disadvantage, early education, streaming and setting, testing. Bookmark the permalink. 1 Response to Baseline testing: science or fantasy? This seems to me a strong and necessary counterblast. Thanks. ‘Ability’ is increasingly revealed as the new IQ. Fixed ‘ability’ thinking is everywhere apparent in these tests, and in the system they help sustain and confirm. Teachers will, I hope, move to boycott the Baseline tests. Ideas which run directly counter to those enshrined in these tests, and to the notion of supposedly predictable pupil progress, happily continue to win a hearing. See for example the Learning without Limits studies and website.